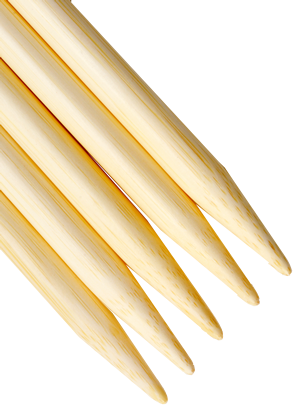 Our 8″ (20 cm) natural color, bamboo double points are made of Moso bamboo and have precisely tapered, hand-crafted tips. The size is permanently laser imprinted on each needle. 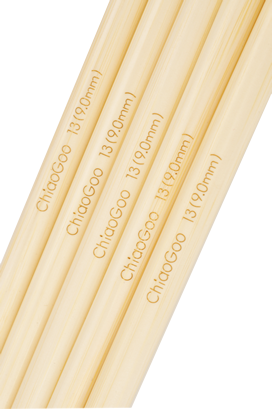 Sizes 1 (2.25 mm) and 2 (2.75 mm) come with six needles per set.